For Alan Shaw, escaping the workhouse was only the beginning of the adventure. As an orphan growing up alone on the streets of Victorian London, staying alive is a daily battle, filled with choices a child should never have to make. This is Alan's lot in life, until he is offered more money than he can imagine; enough to take him to the new world to begin afresh. He only has to complete one task; something that could bring the British Empire to its knees. In a series of adventures that take him from sea to sky, from Brighton to Bombay, Alan grows up in a steam-driven era where Automatons walk the streets of London and dirigibles master the air. Pitted against mad alchemists, tentacled submersibles, bomb-wielding saboteurs and the apocalyptic army of the Ordo Fenris, Alan has his work cut out for him. With a past as dark as his, who knows what Alan might grow up to be? 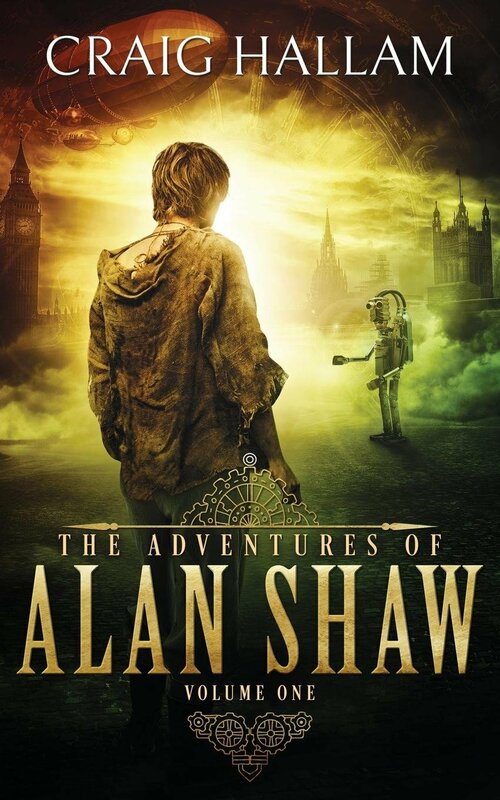 The Adventures of Alan Shaw is an epic Steampunk adventure spanning five incredible tales, from the author of Gothic Steampunk fable Greaveburn.